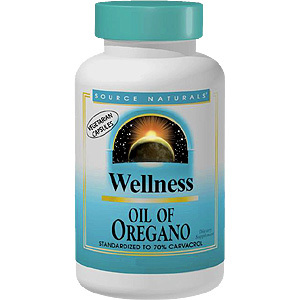 Source Naturals Oil of Oregano is made from wildcrafted true oregano (Origanum vulgare), an aromatic herb that is native to the Mediterranean region. Traditionally, oregano was used to support digestive, respiratory and joint health. Recent in vitro research indicates that carvacrol, an active constituent of oil of oregano, may provide support to the immune system. 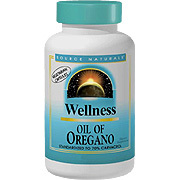 Source Naturals Oil of Oregano is one of the most potent on the market and is standardized to 70% carvacrol. Warning: Do not use this product in the eyes, and avoid contact with genital regions. If a rash/irritation occurs, discontinue use. If you are pregnant or breastfeeding, consult your physician before using this product. Note: A heat sensation after use is normal. Extra Virgin Olive Oil 70 mg, Wildcrafted Oregano Oil (Origanum vulgare) 37.6 mg, Yielding approximately 22.6 mg carvacrol. Oil Of Oregano is shipped in a discrete, unmarked package. Orders are processed immediately and usually take about 3 to 5 working days to be received. We do ask that you try it for 2 to 3 weeks to feel the full effects. Any information received is used only for order processing and shipping purposes. Your information, such as e-mail address, will never be disclosed to a third party.